Custom made for Canadian Tactical and proudly made in Canada. Custom made for Canadian Tactical and proudly made in Canada. Heat resistant construction allows extended shooting without mirage being created off the hot suppressor. 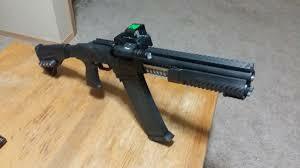 Attach Night Vision to Rifle Scopes, Spotting Scopes and other optical equipment with no modifications. In use by the CF and US military. Perfect for suppressors because it is thin enough to spread easily throughout the interior of the suppressor and does not smoke excessively.